During the summer the Birch Center is used to house female staff. In the fall, winter, or spring, the Birch Center is used for lodging for retreat groups. It features 2 different bathrooms and 4 different rooms. Linens, pillows, and towels will not be provided. Room #1: Jesse contains 6 beds with 1 double bed. Room #2: Mary contains 4 beds. 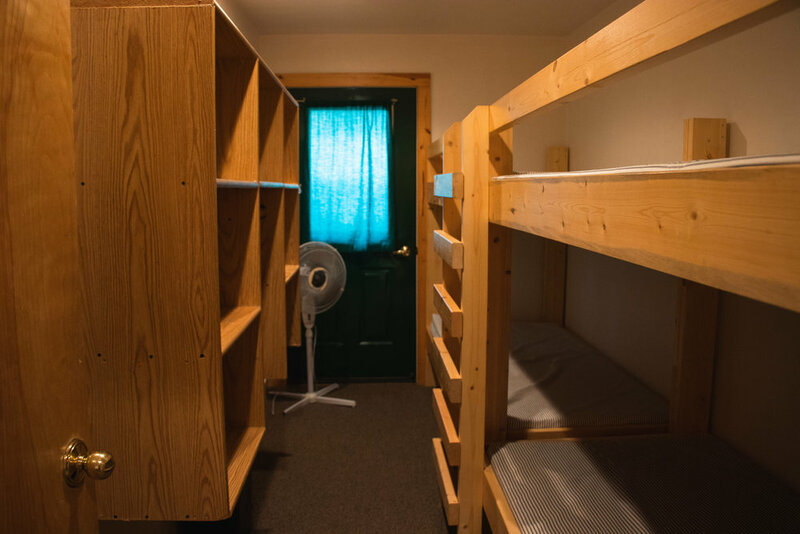 Room #3: Sawyer contains 10 beds with 1 double bed. 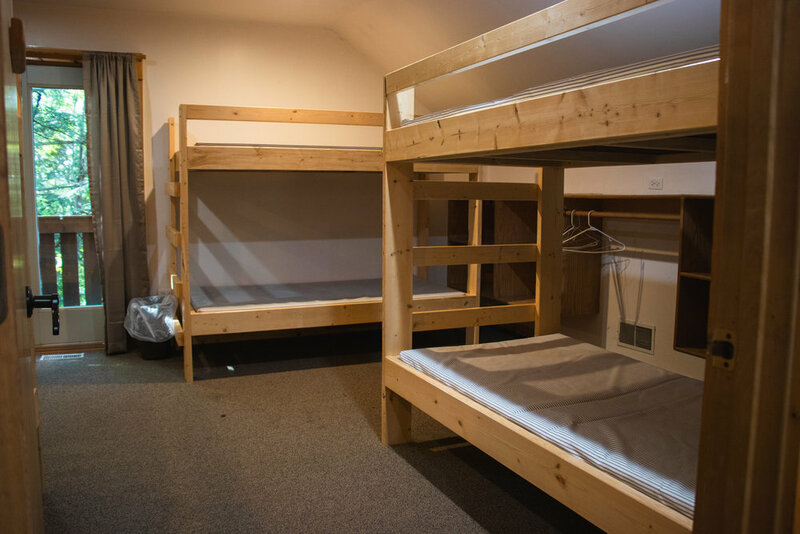 Room #4: Rose contains 10 beds with 1 double bed.